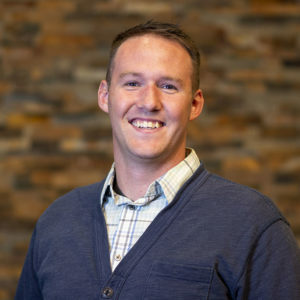 Ryan serves on the campus ministry team and is committed to making the gospel of Jesus Christ known on the campus of Michigan State University. His favorite part about his role is that he gets to meet with students to study the Bible and see it transform their lives. Ryan graduated from MSU in 2008 and spent the next year as a pastoral intern at URC before attending Gordon-Conwell Theological Seminary. Before joining the campus staff he most recently served as a pastoral resident at College Church in Wheaton, IL. Ryan met his beautiful bride Sarah while in college and married shortly after graduation. They have three children William, Gwendolyn, and Calvin.